Canaan Morse is a translator, poet and editor currently based in Boston. He is an original member of Paper Republic and co-founder of Pathlight: New Chinese Writing, for which he was the first Poetry Editor. His translations and book reviews have appeared in several international journals both in print and online, and he was the winner of the 2014 Susan Sontag International Prize for Translation. He holds an M.A. in Classical Chinese Literature from the Chinese Language and Literature Department at Peking University. Canaan Morse translated for READ PAPER REPUBLIC, week 24, 26 November 2015. The poet and the translator of this collection have successfully created and re-created poetry across a linguistic boundary. This may sound unremarkable, but consider: not all translation, but only good translation can achieve this. These poems, especially the translations, exist both within and outside of their originators’ control, and now that each of the many essential parts has coalesced, it is also necessary to name those parts: a name on the book cover that belongs to one of the most important poets in Taiwan’s literary history; a collection of forty-six poems that has been through ten printings in the Chinese; forty-six English poems that are translations of the forty-six Chinese poems, and are also poems in themselves; the visible hand of the translator, Steven Bradbury, a professor of English literature in Taiwan whose scope as a translator encompasses classical, modern, and contemporary poetry in Chinese; and a vast, burgeoning interpretive space, not a gulf between the two versions but an aura around each that opens up as the reader vivifies the writing. My contact with China-focused academic presses has increased substantially over the past three months or so, and each one of them has come back looking for Chinese to English translators qualified to take on academic projects, usually monographs on topics in the humanities -- Chinese social science, political economy, literary history and theory are just a few examples. Sourcing translators for academic work can be harder than sourcing for trade, for reasons I'll list below, so I thought I would put out an open call here to get everyone's attention. Last month we made an open call for poets to participate in a curated community event at the Bookworm Literary Festival, and the response was exceptional. Please consider this our official thank you to all who answered. 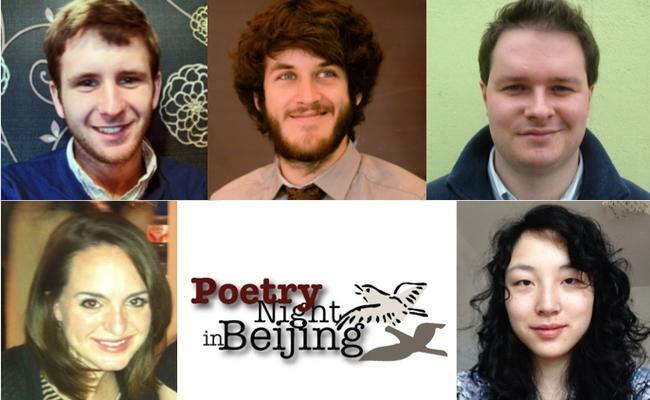 The curators of Poetry Night in Beijing -- Canaan Morse, Helen Wing and Eleanor Goodman -- read nearly 200 poems before finally (painstakingly) choosing five writers whose works resonated with them in style and substance. Adding Translators to "Great Reads This Spring Festival"
This post was so popular on the Pathlight Facebook page, we figured we'd put it up here. We're very grateful to Kendall Tyson for reviewing these ten books by Chinese authors in translation, including Pathlight: New Chinese Writing contributing authors Chen Qiufan, Chi Zijian, Bai Hua, and Mai Jia. MR. MA AND SON, by Lao She, translated by William Dolby. Congratulations to both translators and authors! Poets! Yes, you. 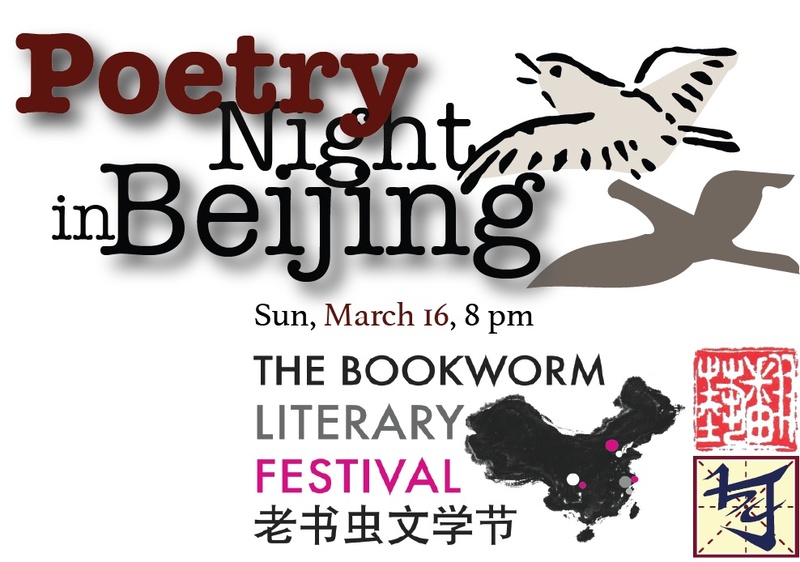 Beijing Cream and Pathlight: New Chinese Writing are excited to present Poetry Night in Beijing at the Bookworm Literary Festival on Sunday, March 16, a curated community event to promote English-language POETRY in this wonderful city of ours. We need your help. We are seeking four poets enthusiastic about reading their work for a keen audience of peers and poetry lovers. There are no limits on theme, subject, or style, as long as the pieces are original and in English. Poems written with a strong voice that plumb the depths of honesty and emotion while remaining intellectually compelling will be favored. Pathlight: New Chinese Writing is currently looking for a Graphic Design Intern to work alongside its English-language editorial team as they prepare to launch a brand new website and expand other operations over the upcoming months. The suitable candidate must be based in Beijing and will be expected to commit for a period of 16 weeks, helping out with a wide range of creative projects, including (but not limited to): overseeing online advertising campaigns, producing promotional materials, designing and updating logos and online avatars, and exploring merchandising avenues. 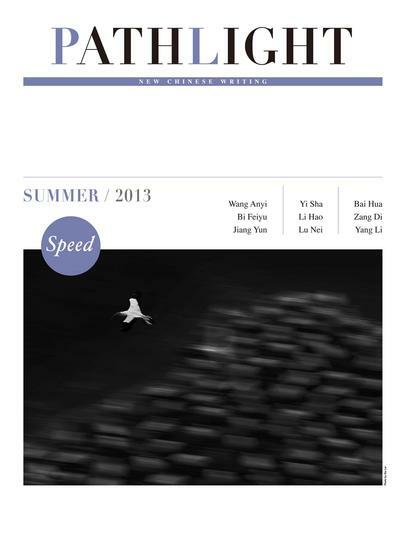 Cover Preview of Pathlight Issue 6, "Speed"
"Human shadows flicker to and fro over the double-paned windows, followed by threads of tiny lights that run across the glass like hairline cracks, then vanish instantly. When the train arrives at a station, the windows all light up, admitting the shadows of those without. Yet the light dispersed into the train car washes out the view of things inside..."
Yep! We're finally on the 140-character social media scene. Have a question? Tweet at us @PathlightMag. I just got back from my temporary cubicle space at the operations headquarters of the Rotterdam – ArtsBeijing.com International PoetrySync Festival, an online event held concurrently here in Beijing and at the International Poetry Festival Rotterdam, which is going on as I type. I am very glad to let everyone know that new things will be coming from Paper Republic in the very, very near future. While most of you know us as a community and a discussion group for translators, writers, academics and all others interested in Chinese literature, fewer of you know of Paper Republic, Ltd., the US- and Hong Kong-registered company that has been building business incrementally for two years now. That company is about to step a little farther into the open. Check back on the site in the course of the next day or two to discover how this institution is ready to serve publishers and readers worldwide. Say What You Won't: Xi Chuan's new collection, "Enough for a Dream"
This is an informal review of Xi Chuan’s newest published collection, Enough for A Dream 够一梦, which contains more important poems in one book than I have read here in two or three years together. The poems presented in it command the attention of the reader because they speak in a language that is both colloquial and singularly Chinese, and can be bitterly poignant in their depictions of China. They represent an inimitable poetic voice as pronounced as any one might read in this language. And the poet, Xi Chuan, has mastered the use of the question, and how many of us who write poetry can say that? Communist Party philosophy is the philosophy of struggle! Chinese poet and poetry critic Qin Xiaoyu invited the Proletarian to attend a meeting at Peking University last Friday on poetry in online media. The meeting was sponsored and chaired by Yang Erwen, founder of ArtsBj.com (北京文艺网), and Yang Lian, whom Yang Erwen has worked into some advisory position at the website. Having no prior knowledge of the event, the Proletarian thought it was just going to be another stereotypical academic meeting, where people made airy speeches over an audience checking their cell phones; who knew that the first item of news would be one of significant importance? In the spirit of, “In China, all the numbers are big,” ArtsBj.com is managing a Chinese poetry competition, and they have over forty thousand entries already. They will be awarding prizes for single poems, with long poems and short poems judged separately, as well as a prize for the best individual collection. All judging is open; that is, the judges’ comments and decisions are posted publicly on the website and are open for comment by those who submit. A bolt from the blue. The Man Asian Literary Prize has announced that its primary sponsor, the Man Group, is taking its money and walking away from the prize. The Prize's Executive Director, Dr. David Parker, has just posted a letter on the Prize's official website bidding goodbye to his old sponsors and, supposedly, "looking forward to the future with a new partner." The optimistic tone of his letter is disconcerting; given the obvious crisis represented by the result of such a high-profile sponsor, the out-with-the-old-in-with-the-new message seems like a cover. At any rate, the Asia Pacific Writers and Translators Association doesn't buy it; their online announcement is titled The FINAL Man Asian Literary Prize. For the Man Asian to fail would be a disaster for Asian literature in particular and translated literature in general. What has happened? Did the Man Group have too much money in Fannie Mae, or is this perhaps a political move? The Beijing installment of the British Council's "Poetry in Public Spaces" series will be kicking off at Sculpting in Time tomorrow afternoon, with a joint reading and conversation between Robin Robertson, poet from Scotland, and Chinese poet Xi Chuan. Xi Chuan (honestly, who here doesn't know Xi Chuan already?) is quickly becoming one of China's best-known poets. He has five collections of poetry published in his native tongue (like Robertson, Xi Chuan's first collection, A Fictional Geneology, was published in 1997) as well as the English collection Notes on the Mosquito, translated by Lucas Klein and published by New Directions. His work has been widely anthologized in a variety of languages, and we even had the chance to publish a few of his pieces in the trial issue of Pathlight. Yours truly will be moderating and trying not to make a fool of himself. Come on out! on Chinese Books Go Global: M & A Coming Soon to Your Home Country? on Adding Translators to "Great Reads This Spring Festival"
on Say What You Won't: Xi Chuan's new collection, "Enough for a Dream"
on It’s been a good year for Chinese fiction in English.